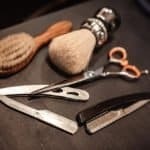 Spring is finally here – and while 50° days and light rain are more than welcome after several months of snow and bone-freezing temperatures, spring also brings with it some famously unpredictable weather. It’s finally warm enough to put away that heavy winter coat you’ve been wearing for 4 months, but not quite nice enough to head out without any jacket at all. 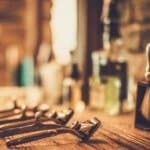 And even when it is nice and sunny out, the weather has a reputation for changing drastically within minutes, and this can make gauging exactly what to wear difficult. Go outside with a jacket on a warm sunny day, and you may find yourself sweating within minutes. Head out without a jacket, however, and you’ll probably regret it when those night falls or those April storm clouds come rolling in. If you’re all too familiar with this, it may be time to start looking for a new spring jacket. A light spring jacket is essential to any man’s wardrobe; it helps break a cold breeze or cut the chill as night falls, but without all the bulk of a heavy winter coat. 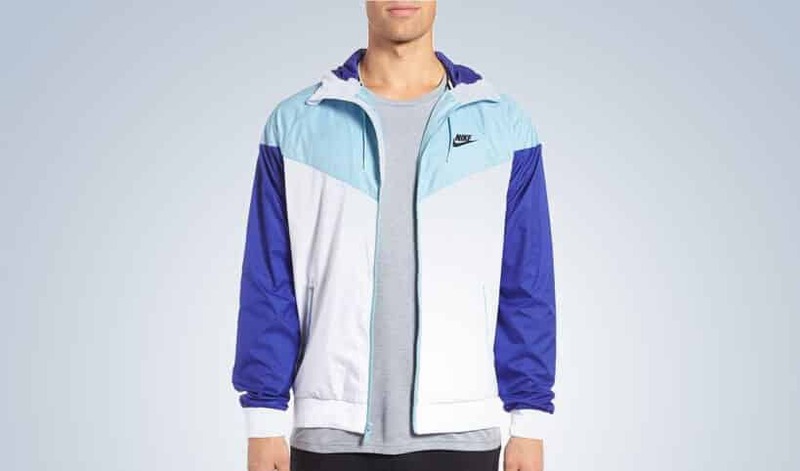 Most spring jackets will also be heavily breathable, many with mesh liners (depending on the style) to keep you cool and wick moisture and sweat away. That’s another reason a light spring jacket is great to have – a jacket too heavy causes you to sweat, which in turn often causes you to become colder. By sticking with a lighter jacket in warmer months, you’ll stay comfortable and cool all day. So don’t deprive yourself of some cool comfort this spring. 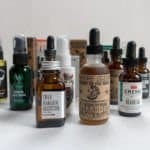 There’s a seemingly endless supply of different spring jackets to choose from out there, from utilitarian rain shells to stylish jackets based on classic staples of menswear – and no one jacket is going to fit every man’s style needs (or wants). 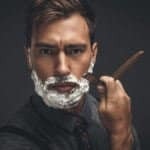 Whether you’re looking for something casual to wear out with friends, something appropriate for slightly more formal occasions, or a light jacket meant for exercise and the outdoors, you’re bound to find one that suits your style. 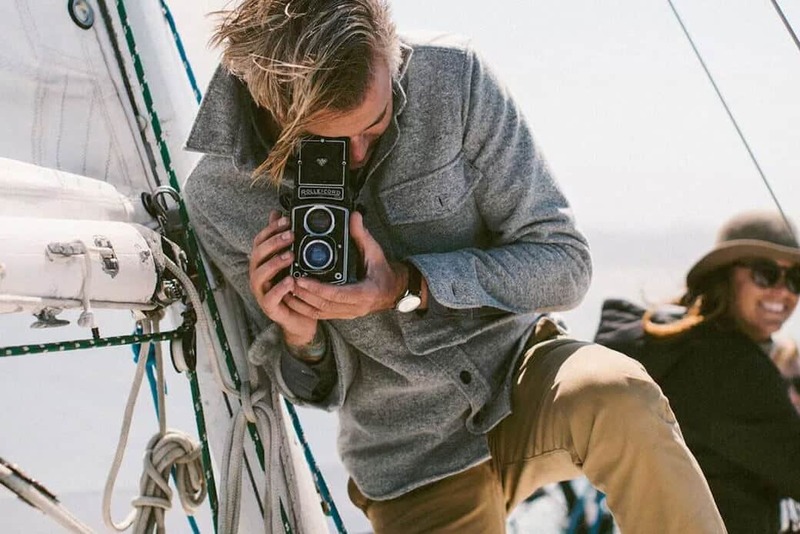 To give you a hand, we’ve compiled a list of some our favorite, most stylish spring jackets of different styles on the market today. 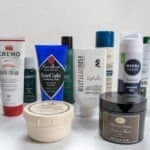 Any of these will help you keep the rain off and the chill out while still looking your best. 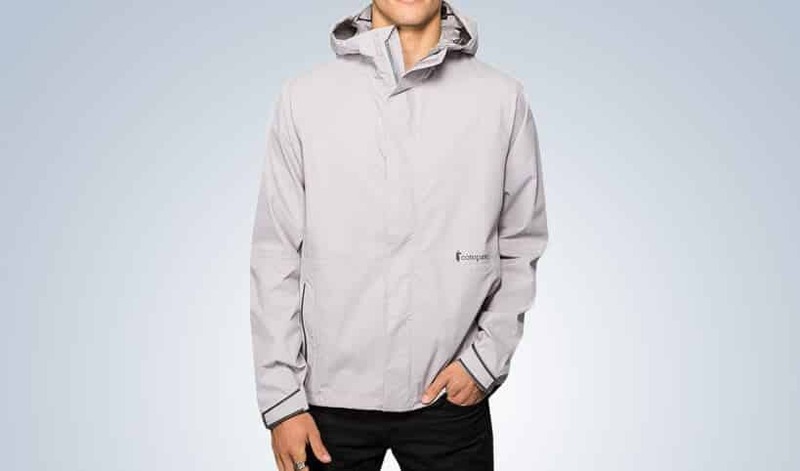 The Cotopaxi Tikal is a classic waterproof, active outer shell. It features a fully-taped, 2.5 layer waterproof fabric with four-way stretch, and three-way adjustable hood with visor. The Tikal also has breathable vents under the arms to allow it to breathe and wick moisture away, as well as two zippered hand pockets. It also comes with two water bottle pockets on the inside. One of the coolest things about Cotopaxi products is the brand’s mission: they make all their products in the Philippines from recycled and repurposed fabric. They also offer a 61-year warranty on all their products. What sets the Tikal apart from the other rain jackets is its intended use – it is designed for outdoor adventure travel. Still, it is sleek and stylish enough for everyday wear around town – but is most at home in the great outdoors. While the Cotopaxi Tikal is geared up for high-stakes adventure and travel, this Levi’s denim Trucker jacket takes a cooler, more laid-back approach. 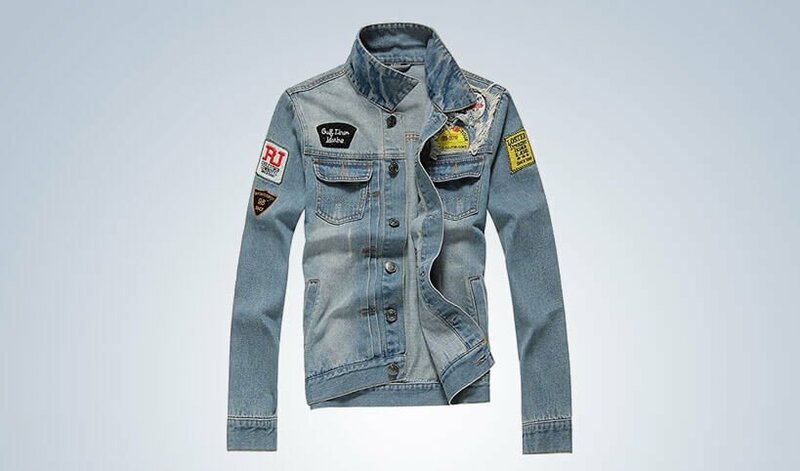 It’s a classic denim trucker jacket, made from 100% cotton and available in a wide variety of colors, from the classic light-wash Danica to the eye-popping Sauterne. It has dual-front denim pockets, as well as adjustable button waistband and cuffs. The denim jacket is classic piece of menswear, and wearing this trucker lends you an air of cool, roguish style. It is best suited as a light layer for warmer weather, and goes well with dark jeans or chinos. 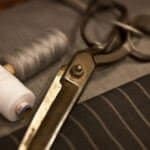 It won’t keep you very warm, but its cut trim enough that you can still layer another jacket over it if it gets too cold out. Like the Levi’s trucker jacket, this vintage-inspired cotton jacket by Wantdo is a trim-fitting piece of classic men’s style. Fashioned after the rugged field jackets of old, it comes in both blue and khaki with a slimmer and modern cut that is at home with any casual or semi-casual get up. It has a 100% cotton exterior and polyester inner liner, and is finished with a stiff, stand-up collar with vintage styling and details, as well as adjustable cuffs and hem. It also machine-washable for easy cleaning. It’s heavy enough to keep you warm on chilly days or as the sun goes down, but light enough that you won’t break a sweat should the sun come out. Pair it with jeans or dark chinos for a look that is both rugged and refined. If the last field jacket just isn’t heavy enough for you, and you’re looking for something that really keeps the elements at bay, this classic trenchcoat might be just what you were looking for. Made with a 100% cotton exterior and polyester lining, it’s plenty thick enough to keep you warm on chilly days – without being too warm for sunny days. 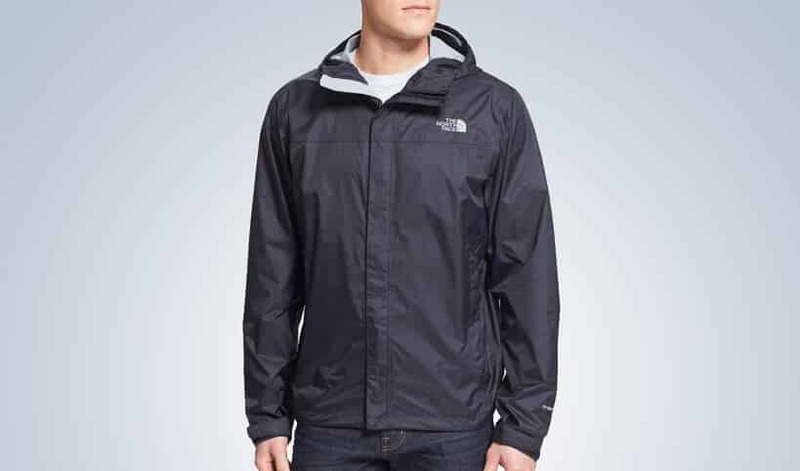 It also features a detachable hood to keep the rain and wind out; take the hood off, and it presents a simpler, streamlined outer layer. 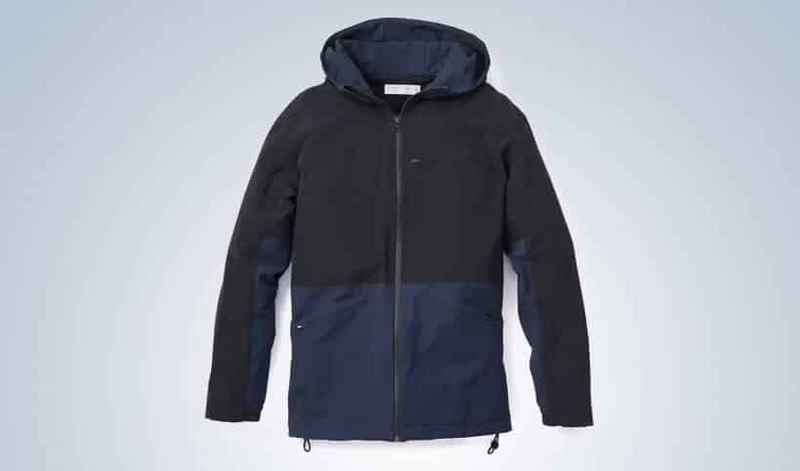 This jacket serves best as a midweight and still stylish windbreaker, or for light rain, but won’t hold up to anything heavy. It comes in several different colors, such as khaki, army green, black and brown. 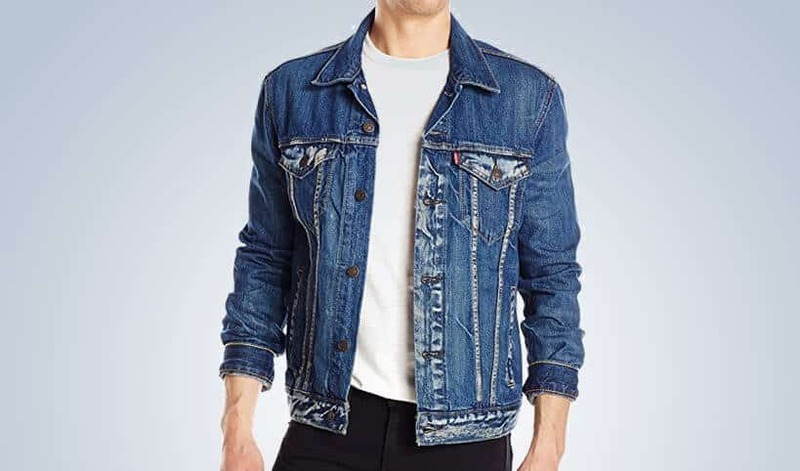 This denim jean jacket is similar in style to the Levi’s trucker jacket, but is a slimmer cut, lighter piece. In addition to its two side pockets, it is stylized with rips and holes on the back, and with embroidered patches decorating the chest and shoulder. Like the Levi’s, it provides a cool, classic silhouette, and pairs well with dark jeans or chinos for a simple, easy look you can pull off anywhere. Due to its light nature, it works best as a mid-layer in a casual outfit or an outer layer on warm sunny days, as it doesn’t provide much protection from the elements. The K-Way Claude 3.0 is a modern twist on a classic jacket – a lightweight, breathable rain shell that not only excels at keeping water off you, but also manages to look great with any outfit. The Claude 3.0 is sleek and stylish, reminiscent of Harrington jackets with its trim cut, colorblock pattern and trimmed zippers, but without sacrificing on performance. Constructed from durable and waterproof nylon ripstop, it packs down into its own pocket and can be stashed in your bag or slung over your shoulder or waist with the attached straps, for easy access when the weather turns foul. It’s light weight and breathable build make it a perfect choice for those mild spring days, where rain is often just around the corner. This running jacket from Outdoor Voices is a heavier jacket than the K-Way built to keep you dry in serious rain. It is made from Outdoor Voices lightweight Crepe Stretch material – a water and wind resistant nylon material with a four-way stretch. It has two front zip pockets that include an eyelet for headphones, as well as a hip and chest pocket and two interior pockets. It also features a mesh vent on the back, to wick moisture away and keep you cool. The Outdoor Voices is quite sleek and attractive for a running jacket, and wouldn’t look too out place with other outfits. As mentioned, it’s heavier than other rain jackets (such as the K-Way Claude 3.0) and is best suited for colder, wetter weather. 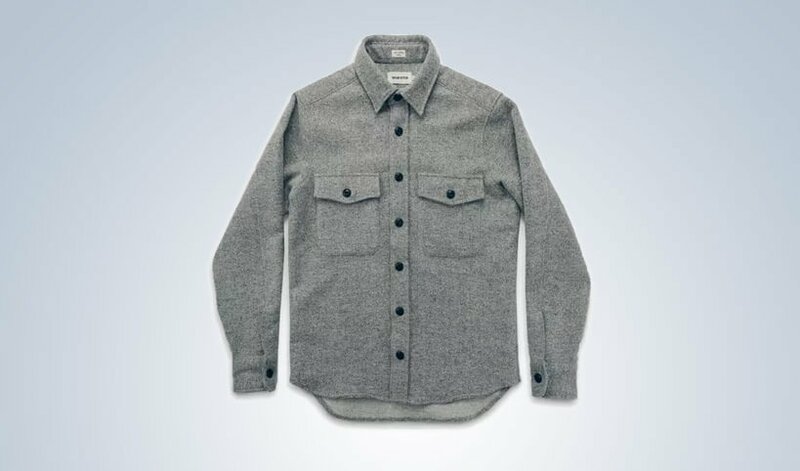 This Maritime Shirt Jacket by Taylor Stitch stands out from the rest of the jackets on this list due to its perfectly tailored style that blurs the line between shirt and jacket. It’s far too heavy to be a shirt, and too light for a full-on jacket – making it the perfect weight for a shoulder season like spring. It is woven from a 19 oz. Italian lambswool and acrylic blend; boiling tightens the weave, giving it an extra measure of water and wind resistance, while the wool keeps it breathable and moisture wicking. It comes in a flecked Ash Donegal that goes well with jeans or chinos, and cuts a look that is classy, casual and dapper at the same time. The Relwen Moto Windbreaker is a light shell for warmer months, that is inspired by the style of classic and cool motorcycle jackets but with a modern, high-tech twist. 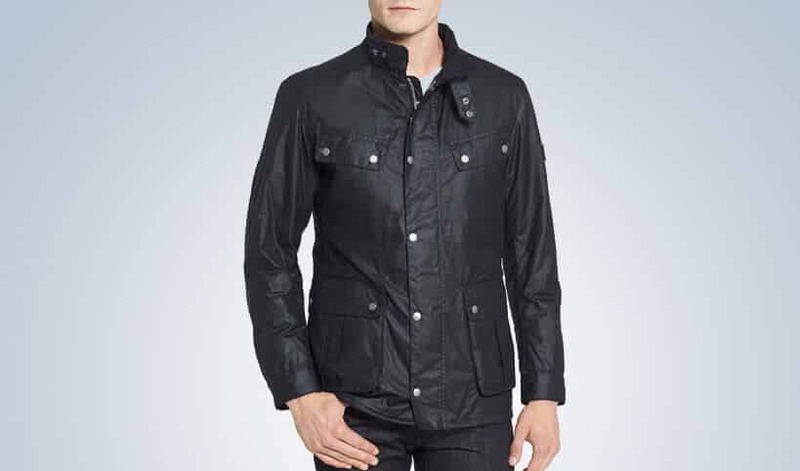 Built from 100% nylon faille, it features a water-resistant and windproof coating, while the snap tab collar (a mainstay of motorcycle jackets) provides an extra layer of defense from poor weather. 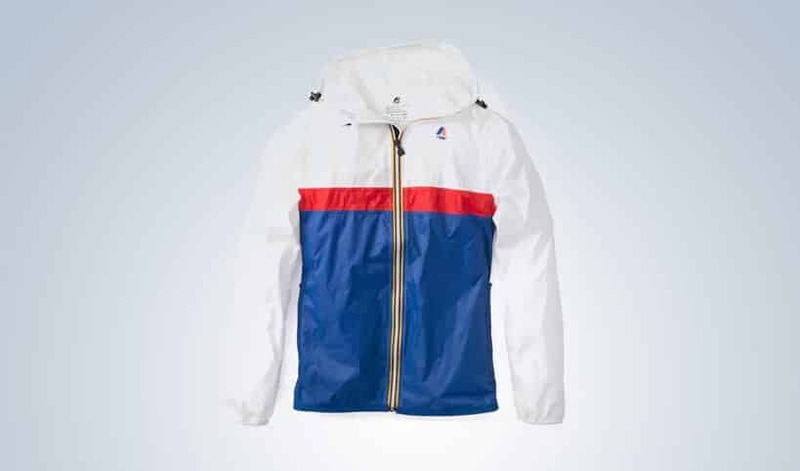 This windbreaker also features vented underarm panels for breathability and comfort. The Relwen Moto is trim, classic silhouette that completes any casual or semi-casual outfit, and gives off a rugged, manly look. 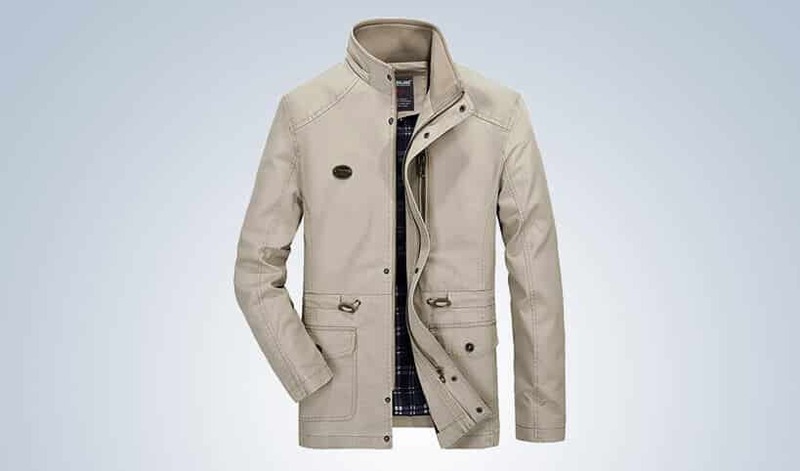 It’s a simple, no-frills jacket with a timeless style that will keep you warm and dry on those misty spring days. Canada Goose jackets are renowned for their high-quality and ruggedly attractive outerwear, and this waterproof shell jacket is no exception. The Alderwood is made from Canada Goose’s laminated Bi-Durance. 5 shell, a lightweight, 2.5 layer nylon ripstop fabric with a waterproof coating. It manages to keep the water out while still letting you breathe freely, which makes it a perfect layer for light spring rain. 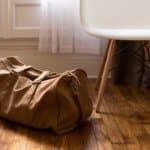 It packs down into its own front pocket, to be stowed in your bag, ready to go when you need it. 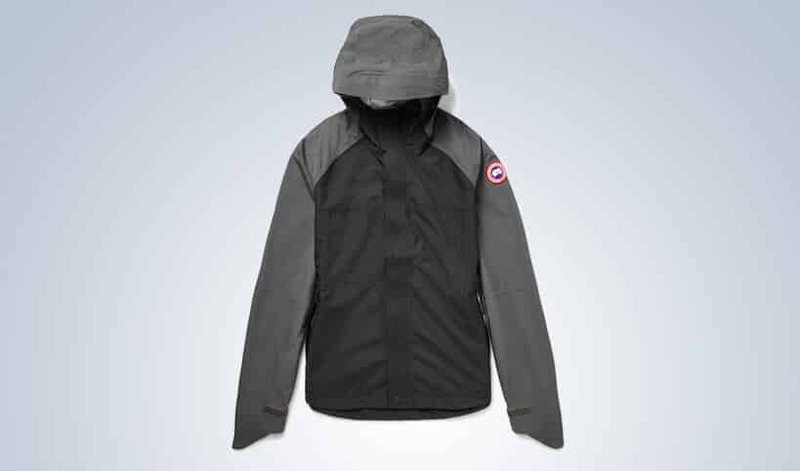 Like all Canada Goose products, it is a sleek, attractive jacket that doesn’t sacrifice performance. It’s the most expensive jacket on our list, but in the case of the Alderwood, you get what you pay for: a high-end, durable piece of outerwear that will keep you dry in both light rain and downpours. Nothing says timeless like Barbour, and this waxed cotton jacket is the epitome of vintage men’s style. The waxed cotton adds a layer of waterproofing that keeps water out, while still staying true to the heritage of traditional English moto jackets. Four flap pockets with snap closures add storage space, while the storm placket, snap cuffs and collar tab add some traditional flair. Like the Canada Goose, the Barbour Duke is a premium jacket that excels at keep the elements out – but in a much more classic package. It’s an excellent outer layer for mild and wet spring days, and adds some vintage edge to both dressy and casual outfits. Motorcycle not included. The North Face Venture is a lightweight, breathable rainshell similar to the Cotopaxi Tikal – suitable for all sorts of outdoor adventures, but without out of place around town. It’s made from North Face’s 100% nylon HyVent 2.5l material. 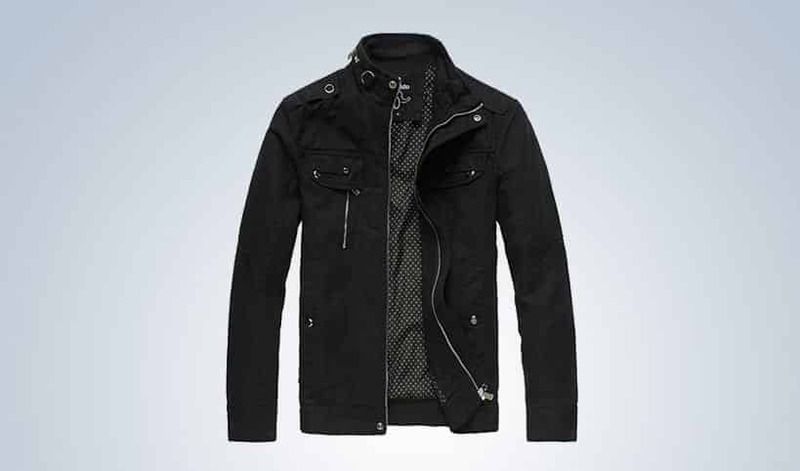 HyVent material is highly breathable, and the jacket comes with pit-zip vents to allow maximum breathability. Like some of the other rain shells we mentioned, it also packs down into its own pocket for easy storage and accessibility. 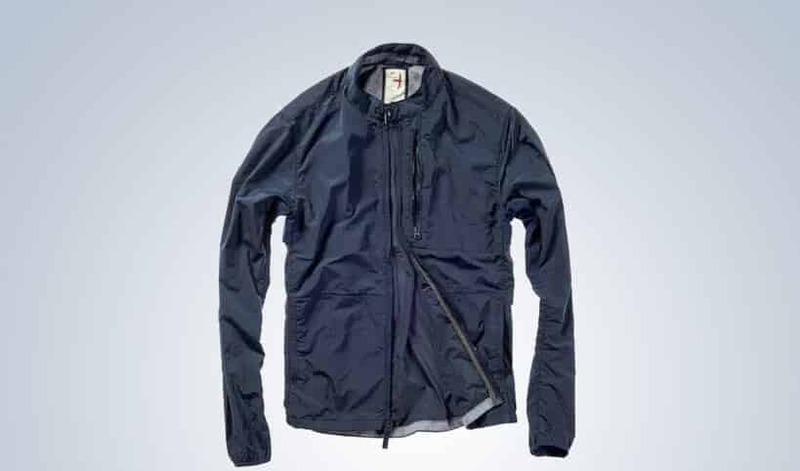 While other jackets we mentioned were more attractive, the Venture provides a simple, practical and clean look that is go anywhere and do anything. It may not provide much in the way of warmth, but it’s perfect for stopping the wind and keeping out the rain on misty spring days. At just under a sub-$100 price tag, it’s also very reasonably priced. 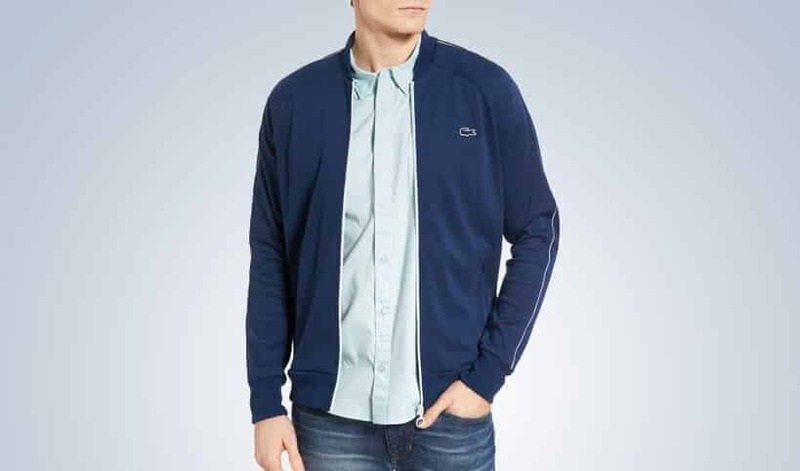 This Waffle Knit Track jacket is a modern and clean take on classic 90’s track jackets, and if you’re looking for a light jacket that is trim, casual and perfect for spring, it fits the bill. Cut in the style of classic track jackets, it’s woven into a soft and stretchy waffle knit that gives it a bit of shine. It’s deep navy blue color and white trim piping pair well with dark chinos and jeans in any casual outfit; finish the ensemble with some casual canvas sneakers for a look that is smart, neat and timeless – and doesn’t look like you stepped out of gym class. You can also add some panache by layering it with another slim-fitting jacket or light overcoat, should the weather allow. Like the Duke, Barbour’s waxed cotton moto jacket, the Barbour Akenside is inspired by classic pieces of men’s style – in this case, the rustic farmer’s work jackets. It’s probably one of the classiest light jackets you’ll find, and with its diamond-pattern quilting, corduroy-lined collar and slim, low-profile cut, it’s suitable for layering and for any casual occasion on the town. It comes in both black and blue, meaning that it pairs well with just anything in your closet. The quilting helps the Akenside provides just enough warmth to keep you comfortable without feeling like you’re in a toaster as the season goes along. 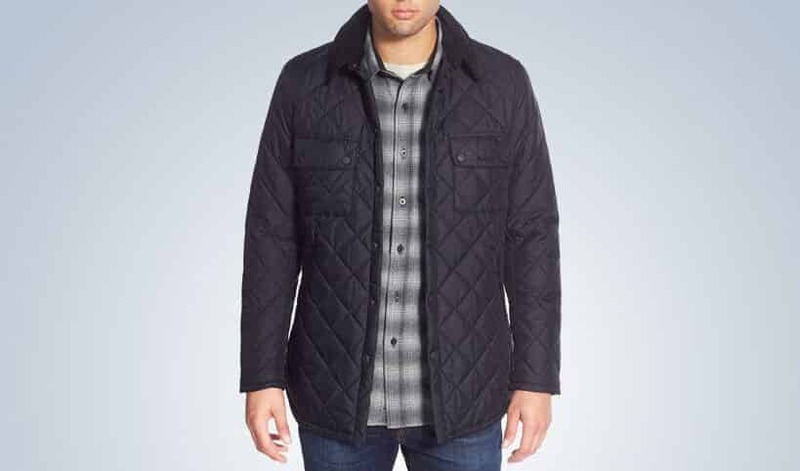 And, at under $100, it’s a relative steal for a Barbour jacket – you know you’ll be getting one of the finest pieces of outerwear available. The Windrunner from Nike is a lightweight, windbreaking running jacket designed to be as slim and trim as possible. It’s made of durable polyester ripstop fabric, with a vent in the back to keep you cool and a breathable mesh lining. It has a drawstring hood and Nike designed the Windrunner with running in mind, and that is where excels; its slim cut is devoid of any excess that could slow you down. Still, its trim silhouette and attractive look are sharp enough to work well with different outfits, and it still looks at home worn for errands around town. It comes in several different bold, eye-popping colorblock combinations. If you just love hitting the running trail no matter the weather, the Windrunner will keep your warm and dry. 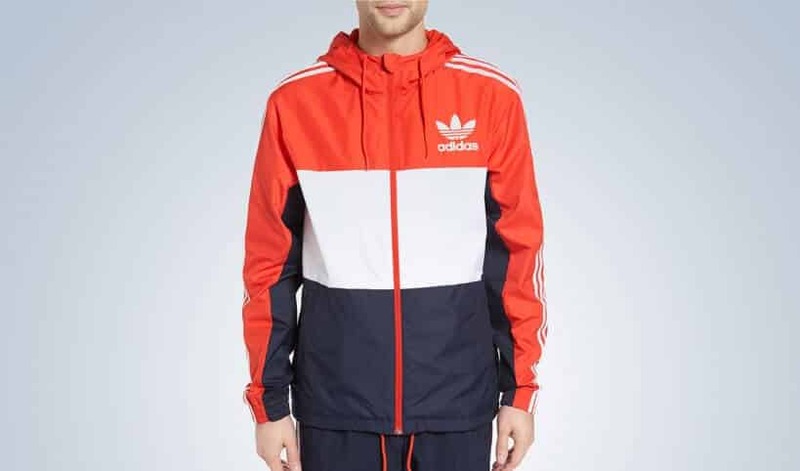 Like the Lacoste Waffle Knit above, this colorful and confident windbreaker from Adidas takes it cues from retro track outfits, but without looking like it’s 1995. It keeps the wind out without letting you overheat; the polyester weave uses breathable mesh lining on the inside to wick moisture away and let heat escape, while staying thick enough to block wind. 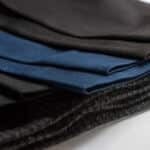 It uses reinforced polyester ripstop panels, sewn right into the sleeves for strength and style. 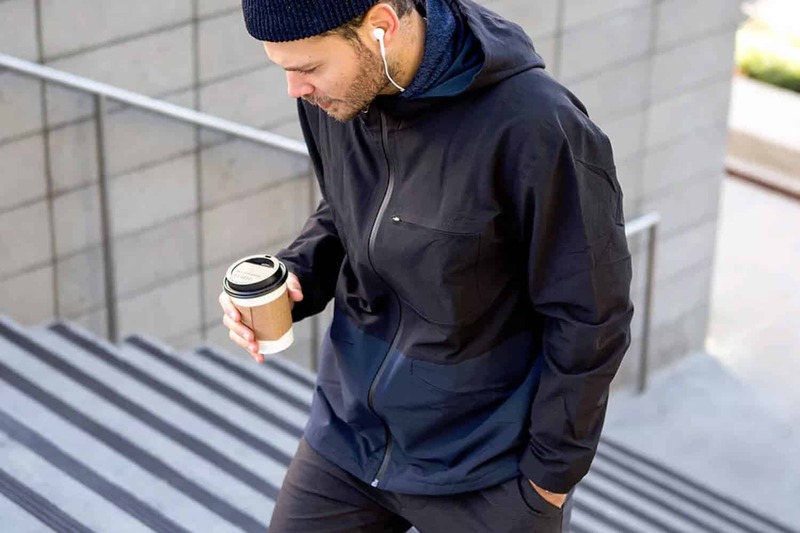 The California Windbreaker features an adjustable hoodie and hem, while its front zip pockets keep your essentials stored safely. The California, with its bold colorblock pattern, is meant for running and an athletic look- but you could probably pull it off with anything if you were so inclined.